With top-forty stars like Cher and Tina Turner using vocoders and Moogs, how can underground synthesizer-based bands compete? Well, by getting hard. 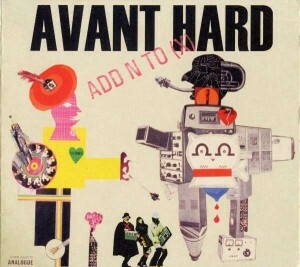 Avant Hard, that is. The British electro-noise band Add N to (X) brings on the art-school damage rock on its latest CD, filling fifty-six minutes with harsh keyboards and frenzied drumming designed to send any pop diva diving under the table. 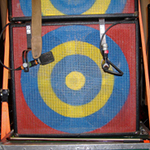 The opener “Barry 7’s Contraption” crosses wacky circus music with stuttering fax machines and antique car horn sound effects. The humor is short lived, though. “Robot New York” guides the listener through the Blade Runner–like streets of an apocalyptic metropolis. With “Metal Fingers in My Body” and “Revenge of the Black Regent,” Add N to (X) successfully orchestrates perverse, Devo-inspired soundtracks—perfect for homemade slasher videos. Although the CD is mostly instrumental, the group tosses in vocal chanting reminiscent of the androids from Battlestar Galactica. Originally published in the Orlando Weekly on July 29, 1999.